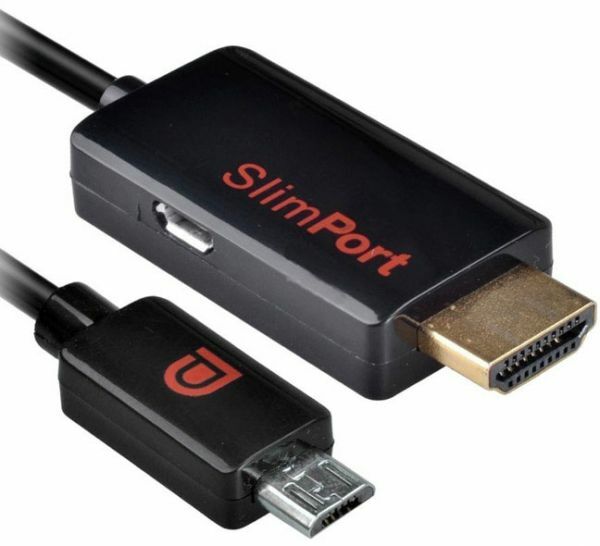 The Slim Port (MyDP) Adapter is an accessory made with one purpose in mind to connect your Simport Host like Slim Port Phone or Tablet to your HDTV for viewing content on a larger screen. This state-of-the-art technology connects your Slim Port Host to your Monitor or HDTV from the micro USB port to the HDMI port. Connect Micro USB Female port to Computer or Power Adapter for charging and getting power using a Micro USB to USB M/M cable.